I’m testing a new fertilizer this summer. 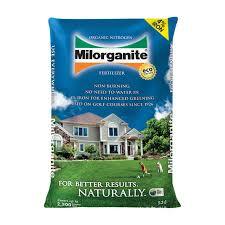 A neighbor and book club friend recommended I try Milorganite. She says it’s green, works extremely well, and has the added bonus of deterring deer and possibly other mammals. Here’s the write-up on the manufacturer’s website. Milorganite fertilizer is composed of heat-dried microbes that digested the organic matter in wastewater. Milorganite is manufactured by the Milwaukee Metropolitan Sewerage District. The district collects wastewater from the metro Milwaukee area, including local industries such as MillerCoors. The wastewater is treated with microbes that digest the nutrients found in it, and then cleaned water is returned to Lake Michigan. The used-up microbes are dried, becoming Milorganite. The program is one of the world’s largest recycling efforts. I found you can easily find bags at all the local places – Menards, Home Depot, Middleton Farmer’s Coop and many others (best price was at Menards). It’s reasonably priced and, because they guarantee it won’t burn if you use too much, fairly simple to apply. The literature reads that it is a slow release of nutrients, good for up to three months. It contains 5% organic nitrogen, 2% phosphorous and 4% iron. It is important to note that Milwaukee Metropolitan Sewerage District public information manager Bill Graffin says it is a myth that Milorganite is made out of human feces. It is an organic by-product of a sustainable method for water purification that does not rely on chemical treatments. The Milorganite company website is great with all sorts of gardening and fertilizer advice with links to experts and articles. This will be my first year testing this product. If you’ve used it before I’d love to hear what you think.